EYES NINETY LP OUT NOW! Eyes Ninety debut 12″ out now from our internet store! These wonky-eyed cats have been playing around Brisbane for just over one year and come from heritage groups such as Chinese Burns & Standing 8 Counts. The sound? Hints at those past bands whilst creating a unique ramshackle sound that never stumbles too far into any period of nostalgia. New video for Chinese Burns Not My Girl taken from the 7″ we released last year. Get along to this, new venue Club Sandwich, three killer bands above the Public Services in the city (behind the Casino). Brisbane. This Australia Day catch THE DANGERMEN alongside Hits, Gravel Samwidge, Elephant, Scrabble (feat Conwae & members of Clag), Slagroom at the Beetle Bar. Sat Jan 26. $15 Entry, Free BBQ, First band on at 5pm. 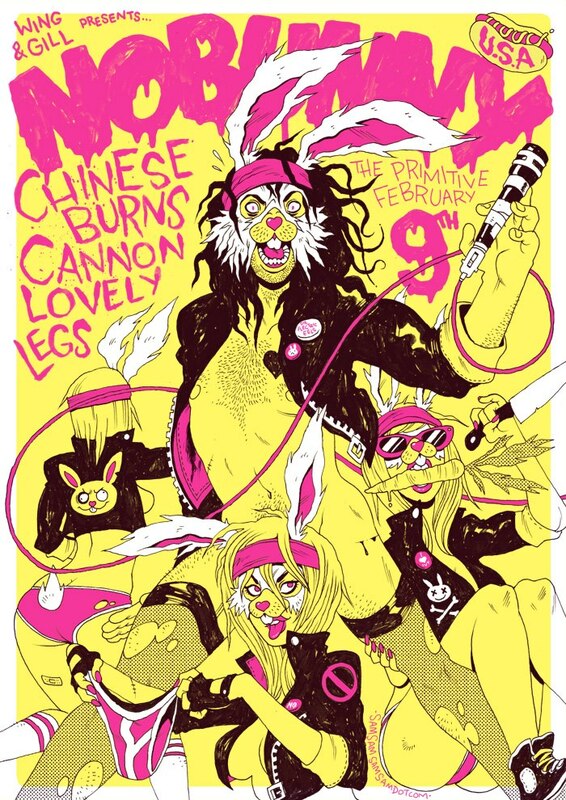 CHINESE BURNS making a half-yearly appearance supporting California’s one and only NOBUNNY alongside locals Cannon and Lovely Legs. Do not miss this! Sat 9 Feb at the Primitive Room (Spring Hill Hotel).